We Specialise in Gites and Cottages with Pools in the South Vendee. France. 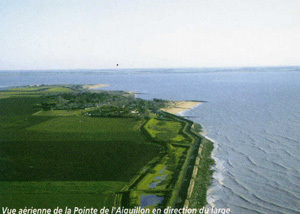 L'aiguillon ( french for needle or spit) owes its name to shape of this narrow band of sand which was formed between the 5th and 7th Centuries and strands upon a submerged bedrock. The sandbanks are accumulated by tidal currents and wind action and have resulted in a string of sand dunes that stretch in an 11km loop. 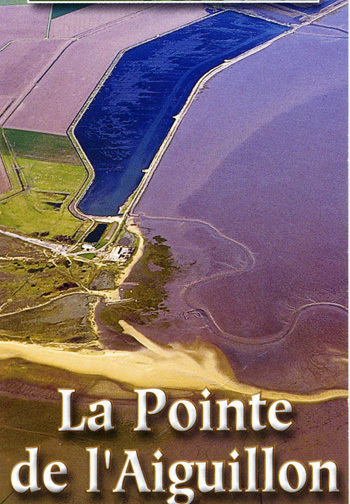 The once Gulf of Picton has today been reduced to the 5,000 ha of mudflats known as the "anse de l'Aiguillon", it is a bird watchers paradise as twice a year the migratory birds stop off here in there thousands and today it is a national Nature Reserve. 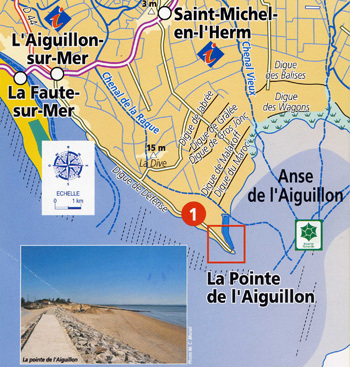 In the estuary of the River lay and in the Anse de l'Aiguillon there thrives an industry based on Mussels and over twenty percent of the French production of mussels are produced here. ©www.gites with pools.co.uk, for your holiday gites in the Vendee.